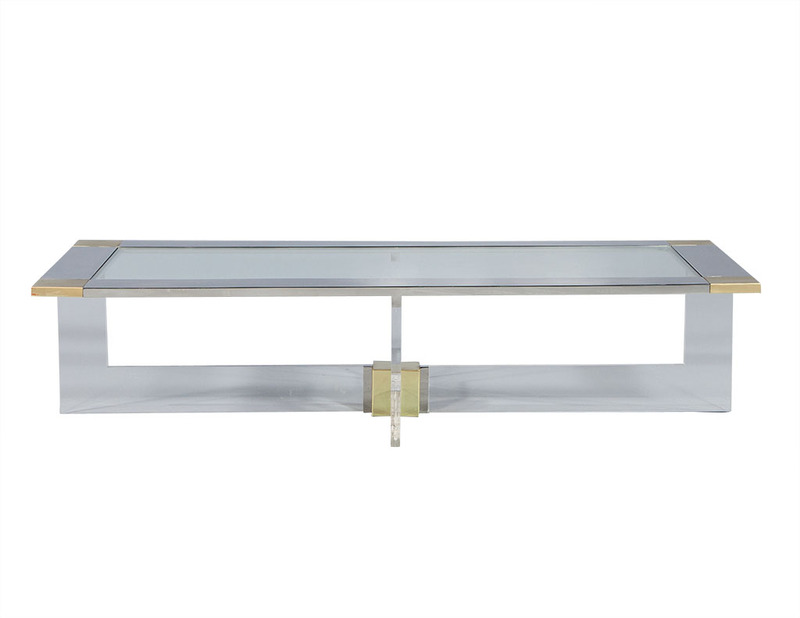 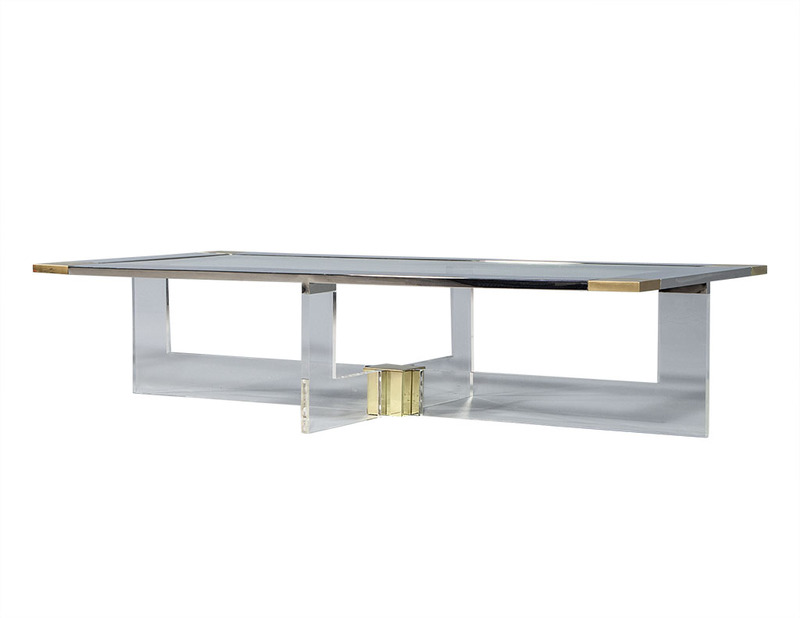 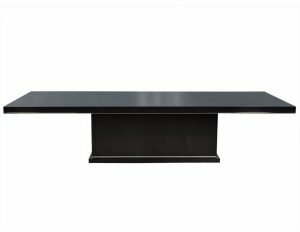 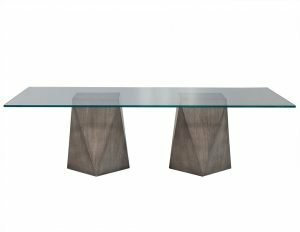 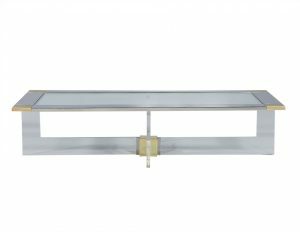 Designed by Randall Tysinger, this cocktail table is a visual pleasure for the modern furniture lover. 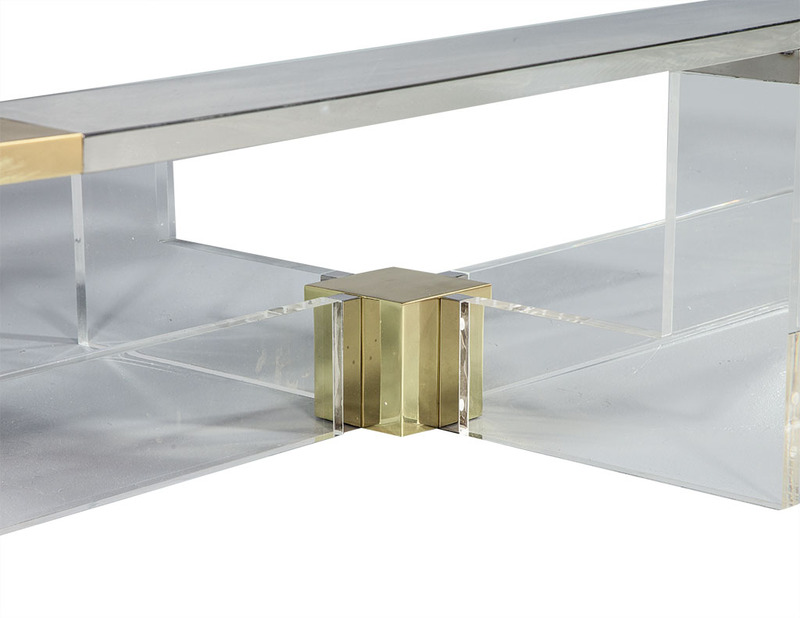 The bold straight edge geometric construction of the t-base supporting a rectangular top integrates well with the use of pure materials, acrylic and glass. 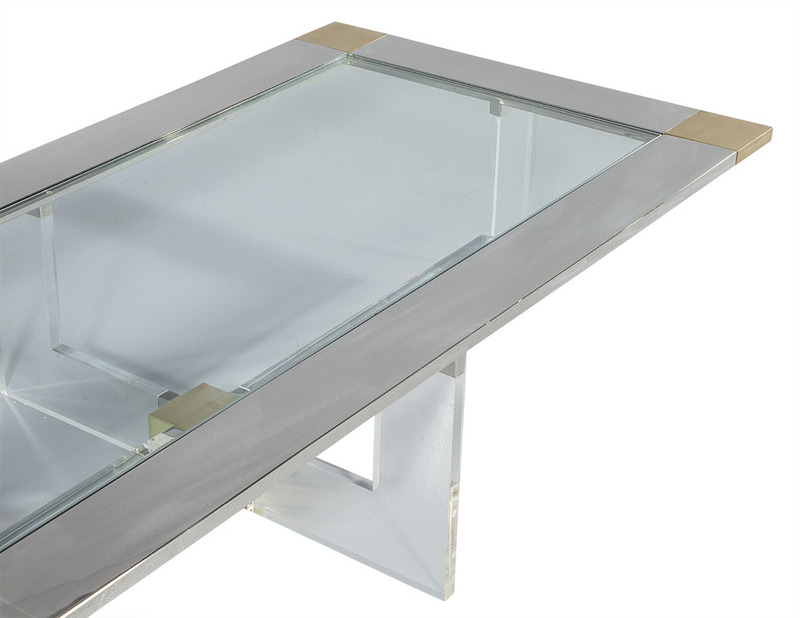 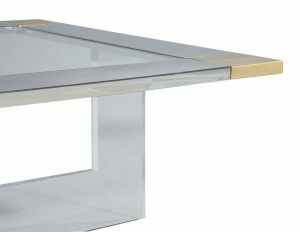 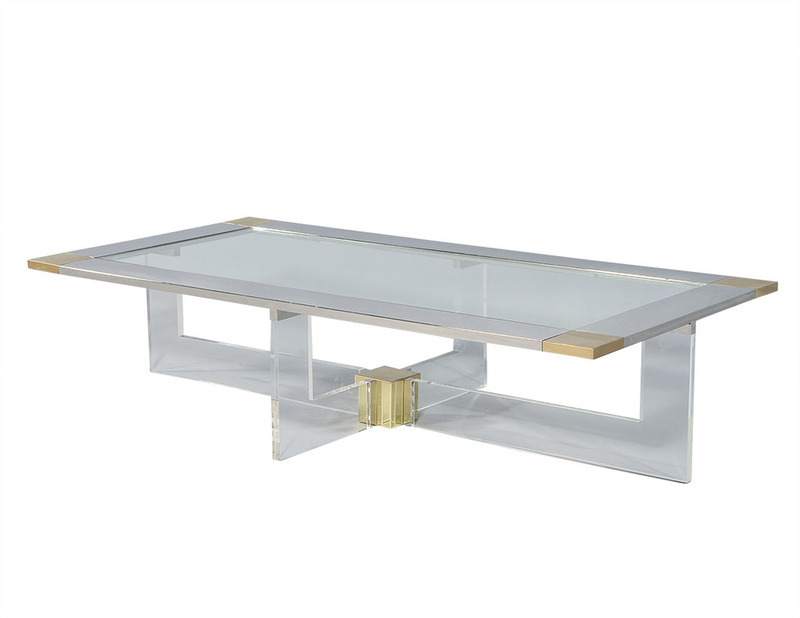 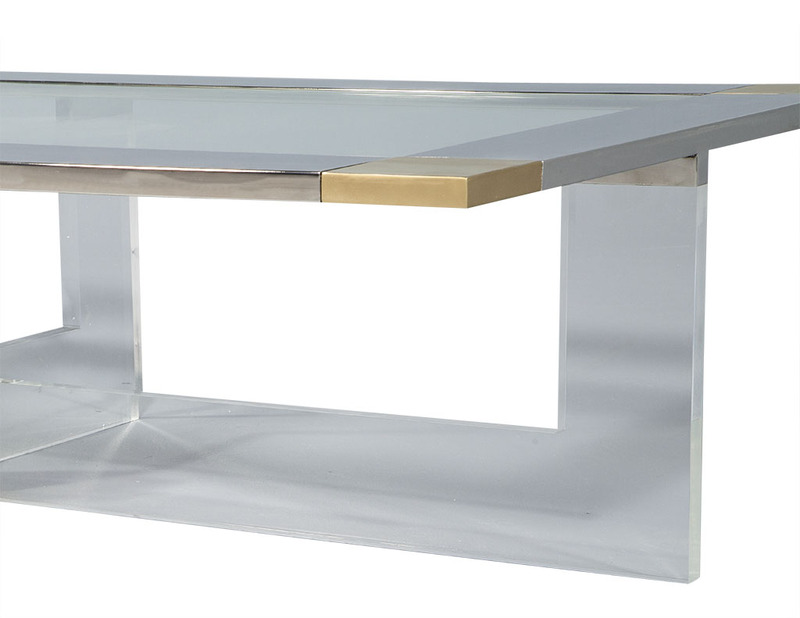 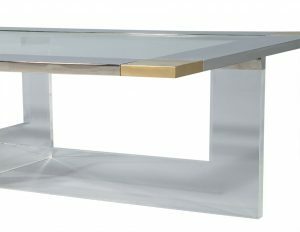 Touches of metal frame the top with lengths of polished nickel around the glass top and corners accented in brass.